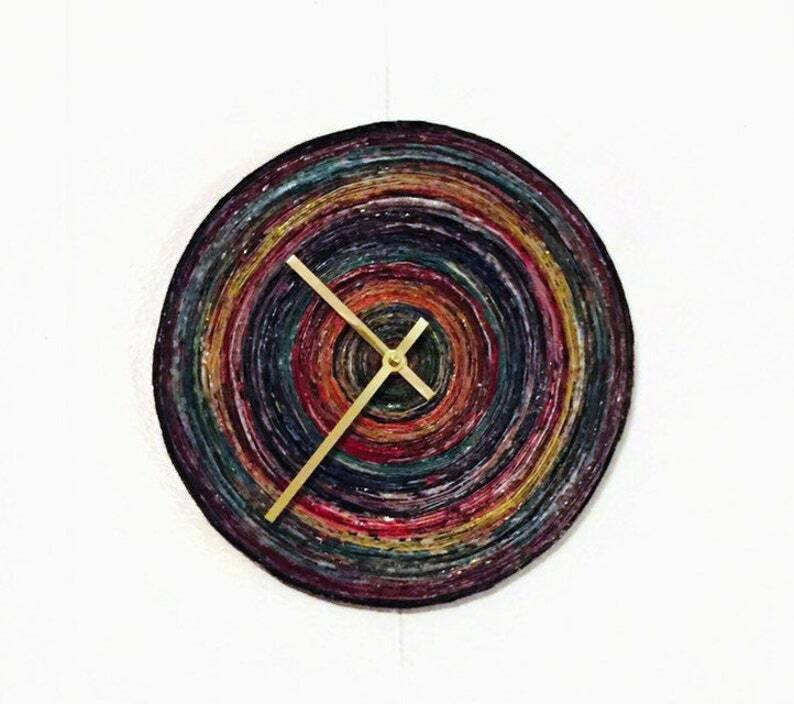 Revamp your interior decor with this unique paper wall clock from Shannybeebo Clocks. Not only is the face covered in recycled paper, the base is a well loved record. This clock is the epitome of sustainable, zero waste art. Whether you keep this for yourself, or gift it to someone special, it's sure to make a statement. Paper is the traditional first wedding anniversary gift making this clock the ideal choice. The clock in the photos sold, but similar clocks can be made. Each clock is handmade to order, so no two are exactly alike. Each piece of paper is hand picked and specifically chosen by color to ensure it is vibrant and beautiful. The clock shown is 10" in diameter. Please let me know if you prefer a different set of hands. Equipped with a metal wall hanger for easy and secure hanging right out of the box. My creations are never quite the same, therefore colors will differ. Please feel free to contact me to discuss different color options.